British Petroleum (BP) and Italy's Eni have signed a heads of agreement (HoA) with Oman's Ministry of Oil and Gas to work jointly towards a significant new exploration opportunity in the sultanate. Under the HoA, the two companies will work with the government towards the award of a new exploration and production sharing agreement (EPSA) for Block 77 in central Oman, an Oman News Agency report said. BP and Eni now will enter discussions with the Ministry of Oil and Gas to finalise details of the EPSA, said the report. Bernard Looney, BP chief executive upstream, said: “This would represent a further deepening of BP’s important position in the sultanate, building on our successful delivery of the major Khazzan project in 2017 and its second phase of development that is currently under construction. We look forward to continuing to explore and efficiently develop the country’s resources, working in close partnership with Eni and the Sultanate to underpin our commitment to delivering long-term gas production for the Sultanate". 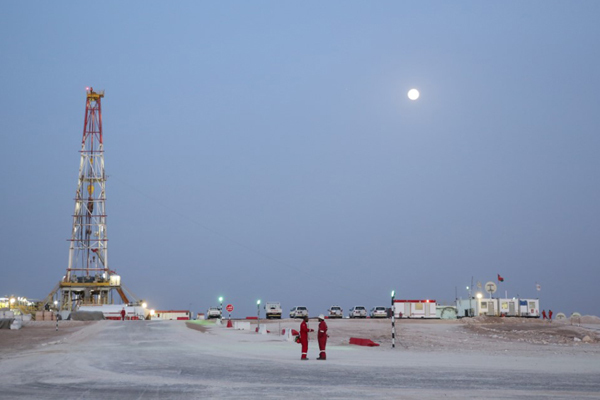 Block 77, with a total area of almost 3.1 sq km, is located 30 km east of the BP operated Block 61 which contains the already-producing Khazzan gas project, as well as the Ghazeer project, currently under development, the ONA report said.